What’s more, the firm’s Mobile Mix report (via Fortune) found Apple’s share of online ad impressions is growing: 42 percent in the first quarter of 2013 versus 34 percent during the same period in 2012. 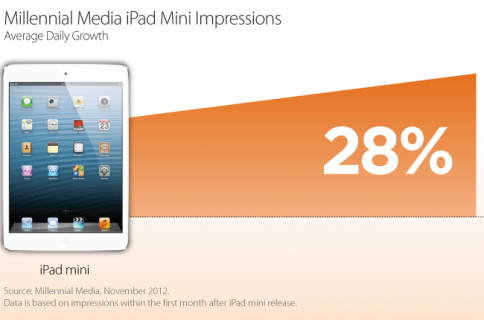 By contrast, Android’s share of ad impressions rose to 55 percent, up from 46 percent a year ago. The numbers also reflect a shrinking future for anyone other than Apple and Android. 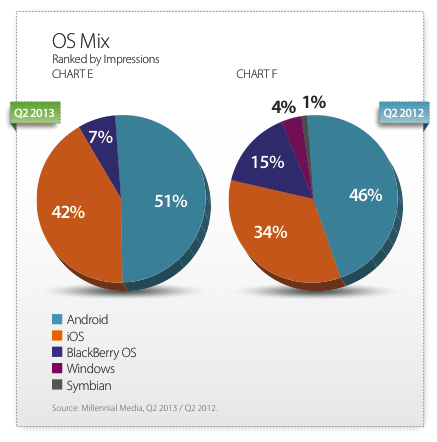 BlackBerry dropped to just a few crumbs of the ad impression pie, down from a slightly higher 7 percent in 2012. Not only is Apple’s iOS leading the ad wars, but the Cupertino, Calif. firm has three of the top four devices used in Millennial’s ad network. By contrast, Samsung has seven of the top 20, its Galaxy S smartphones ranked No. 2. This tug of war has been played out before. Piper Jaffray analyst Gene Munster today hinted the fuel is Apple’s lead in device usage. 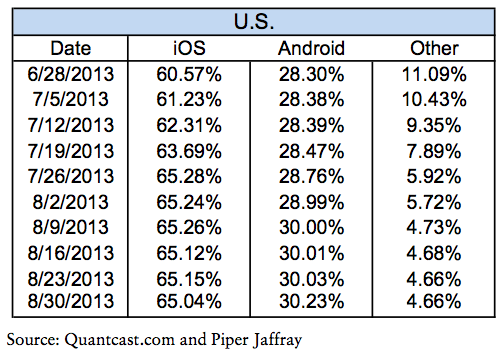 Apple has 65 percent of web usage while Android sits at around 30 percent. 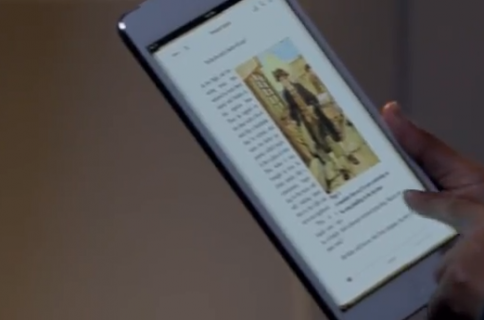 Google’s lack of usage comes even though its Android platform has more than 51 percent of the U.S. market. Munster offered three reasons for the dichotomy: First, “iOS is the most popular smartphone platform in the U.S.” This belief comes from the analyst’s finding that the iPhone represented more than 50 percent of sales at both AT&T and Verizon in the June quarter. 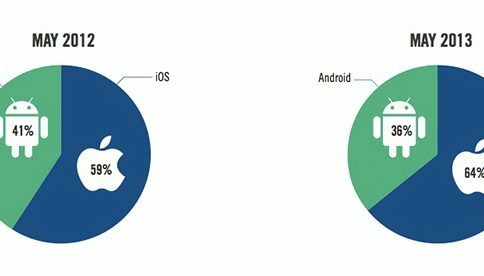 Secondly, “iOS users are likely more engaged with their phones on a daily basis than Android users on average.” Finally, Apple’s iPads contribute more to iOS than Android tablets help Google’s mobile software. Again, the takeaway from the two reports: Android devices are purchased more often, but Apple’s iDevices are used more frequently. All of which just reminds us how true is the old saying: you can lead a consumer to Android, but you can’t make him use it.